Triad released a new 'Shoto' SteamVR Tracking HDK in August 2018. What is new and different about this HDK? Triad's new Shoto SteamVR Tracking HDK was released in August of 2018. The new Shoto HDK at 43mm x 14.5mm x 8.07mm is significantly smaller than the original HDK. The new HDK replaces the three boards of the original HDK with a single rigid board. The original HDK supported up to 32 Light-to-Digital Sensor locations. The Shoto HDK supports up to 26 Light-to-Digital sensors. 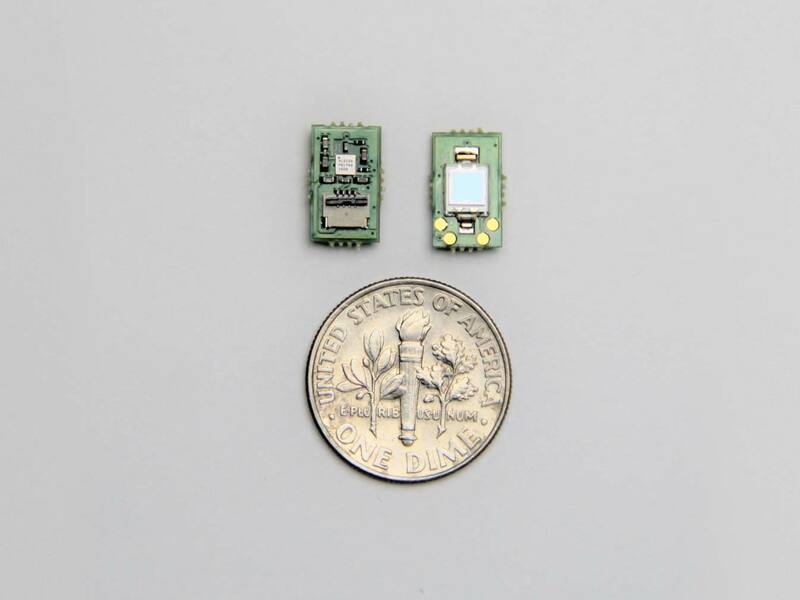 The number of sensors was reduced from 32 to 26 to realize the small 14.5mm board width. Over time, Triad has realized that most of our customers are using the HDK to prototype controllers and not Head Mounted Displays (HMDs). The HMD application used all 32 sensor locations but controllers tend to use from between 18 to 26 sensors. The original HDK had 32 individual Light-to-Digital Sensor boards that were referred to as 'chiclets.' Each Sensor Chiclet board had a high-density flex connector. One of the boards of the original HDK was a Sensor Breakout Board. The Sensor Breakout Board had 32 corresponding HDK density connectors. For each sensor connection, the user needed to plug in a flex cable to the Sensor Chiclet and then plug the other end of the flex cable into the Sensor Breakout Board. This process was tedious and was not an extremely robust way to keep 32 sensors connected during testing and development of the tracked object. The new Shoto HDK comes with two flex printed circuits (FPC). Each Sensor FPC contains 13 Light-to-Digital Sensors. The Shoto HDK Core Module rigid PCB has two high density edge connectors. Each edge connector accepts the 13-Sensor-Flex. On the new HDK, only two connections are needed to plug in all of the sensors to the HDK Core Module. 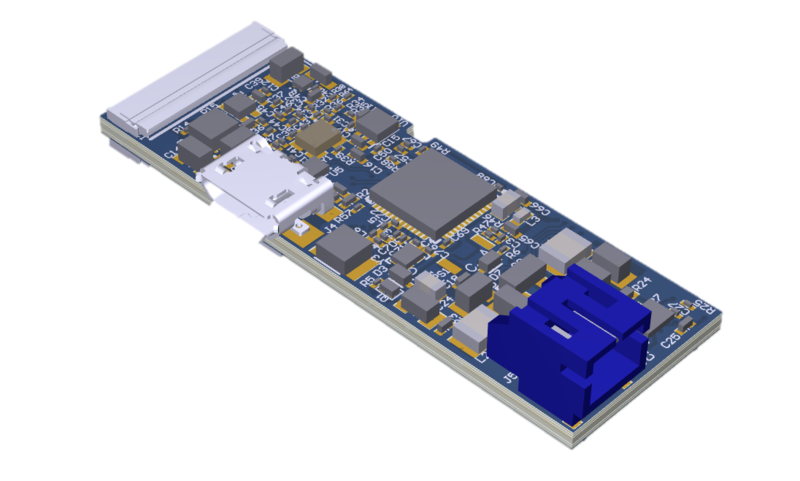 The Shoto Core Module is small and optimized for prototyping and is a cost effective solution for low to medium volume production. After you make your original prototype and you need to make another 10, 100 or more tracked objects for developers, Triad can work with you to design a customer Sensor Flex Assembly that is designed to match the mechanical design of your tracked object. The Shoto HDK does not have user buttons or haptic feedback built into the HDK. Button location and Haptics tend to be very device and application specific. Instead, the Shoto HDK has 3rd high density connector that allows for a custom button/haptic board to be connected to the Shoto HDK. As you get started designing your Tracked Object, Triad can help with design ideas and schemes for connecting your buttons and haptics to the HDK.